NOGALES, Arizona (KTRK) -- U.S. Border Patrol agents helped a woman get down from a fence after smugglers left her dangling 15 feet above the ground. Crews in Nogales, Arizona said they saw two people using a harness to lower the 37-year-old Mexican woman down onto the U.S. side of the wall. When agents approached, they said the smugglers took off and left her hanging. Members of the local fire department helped get her down. The woman was not hurt and is now being processed for immigration violations. 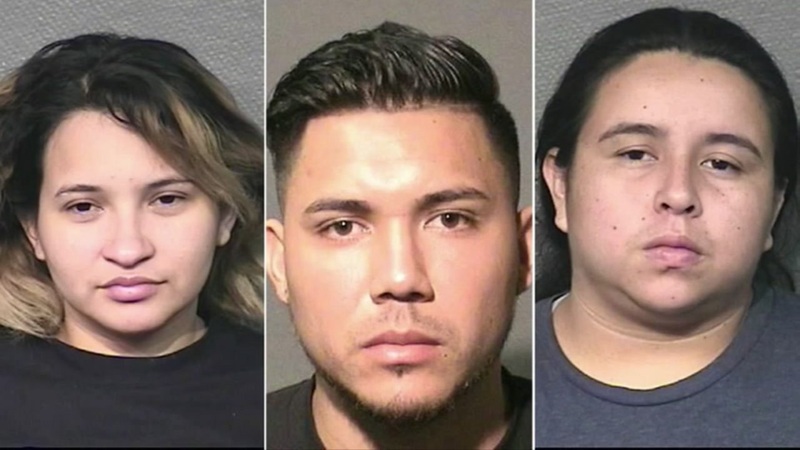 Three people are charged with human smuggling after a dozen people, including a minor girl, were rescued by Houston police from the sweltering cargo bay of a box truck, prosecutors said.